I was blessed by Lea over at Shabby Old Potting Shed with this award and kind comments. Thank you so much, Lea!! Lea’s blog is one of my favorites, with wonderful photos and inspirational writings. 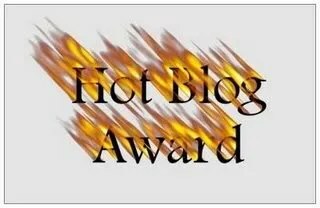 I am passing this award on to the following people, whose blogs I follow regularly. First to Suzanne McMinn over at Chickens in the Road. Amazing photography abounds, and Suzanne has a wonderful sense of humor. And while we’re on the subject of chickens… here’s another wonderful blog from Alexis over here: Tales From the Back Acher. She’s a fellow Oregonian who loves chickens and is not afraid to post photos of them. I also love, love Debra’s blog, Sparrowgrass. Ever since I discovered her blog, I found that we are kindred spirits. I also have a kindred spirit in Kbrow, who lives up in Nu‘uanu Valley on my home island of O‘ahu. She posts wonderful photos, and has a wicked sense of humor. There’s no way I can leave out Barb, whose writing wonderfulness and honesty over at So The Thing Is…Blog never fails to say something important to me. For her amazing creativity and fabulous whimsey… Anitra over at Coffee Pot People is hard to beat. Oh my gosh, Edith the Tea Room Owner gives me such a kick! I love Lisa’s blog, Dorky HomeMade Quilts, because she has broken out of the perfectionism box. And she lives on Kaua‘ so I get to see photos from back home on her blog. I would be remiss if I didn’t mention Alicia at Confessions of a Snowflake, who claims to be flaky but I haven’t seen it yet. I’m glad we’re friends. To Lea; I’m giving the award back to you, too (I am allowed, right?) for introducing me to Word-Filled Wednesday, which has given me the inspiration to do something I’d never done before and introduced me to so many special people. And finally, to Ann Voskamp of Holy Experience. Your faith, your exquisite writing, photos, compassion and heart for God often bring me to tears with the sheer beauty of your words. Mahalo nui to all of you for putting up with my pidgin posts (they write themselves, ya know!) and inspiring me to fulfill the purpose for which ke Akua created me. This entry was posted in Blog Awards. Bookmark the permalink. Woohoo! Thanks chickie!! You bless ME too – thanks much! Wow!! Thank you so much! I am tickled, and honored, and blessed. Thank you ma’am! I am not hot! Will my snowflakes melt? Yes, I appreciate your blog, too. You are an inspiration, my friend!